Cook pasta according to directions. Drain pasta; rinse with cold water and drain well. 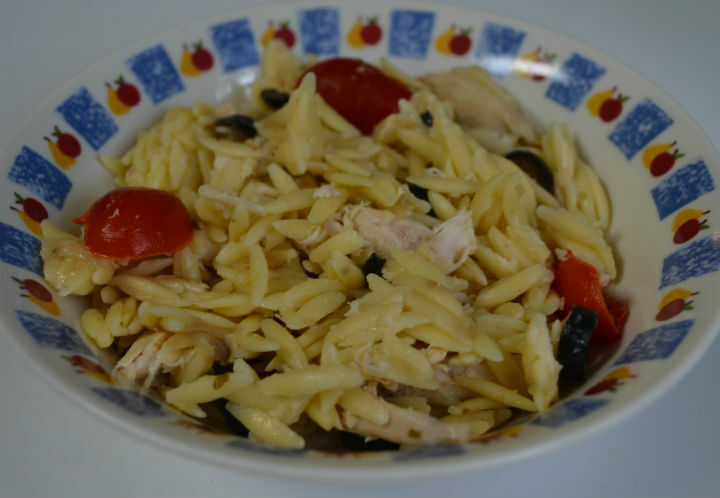 In a large bowl, combine pasta, chicken, tomatoes, cheese, olives, and onion. In a small bowl, whisk remaining ingredients until blended. Drizzle over salad; toss to coat. This is super quick and easy. I made this the other day when I was short on time, and it was done in a jiffy!